Athletes are as prone to depression, anxiety and other mental health issues as anyone else, but what can be done to help? Pursuit of glory inevitably comes with its costs and, for some athletes, the price to be paid is an emotional crash of the most debilitating variety. Dame Kelly Holmes is among those to have spoken of the depression she suffered as she struggled to overcome injuries a year before her double Olympic triumph in 2004. “For me, the desire to be successful took its toll and I couldn’t handle the disappointment of my body constantly letting me down,” she says. She is far from alone. 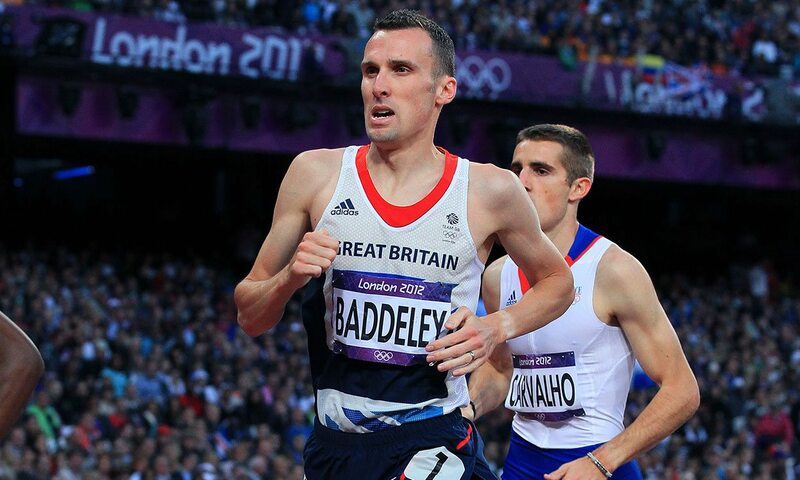 Andy Baddeley (pictured), Britain’s former No.1 1500m runner, has spoken openly about his own battles with depression and written a blog for the mental health charity, Mind. Jack Green’s world crumbled when he fell in the semi-final of the 400m hurdles at the 2012 Olympics, his ensuing depression at times leaving him suicidal. It led him away from the sport for 18 months but, following a period in which he took medication and received support from a psychiatrist organised by British Athletics, he returned and made the team for Rio last year. When she announced her retirement in 2012, the 2008 Olympic 400m hurdles bronze medallist, Natasha Danvers, revealed she had been treated for depression during her career and that her illness culminated in a suicide attempt. But what is being done to support athletes in emotional freefall? Dr David Fletcher, a researcher in performance psychology at Loughborough University, recently collaborated with sports scientists at the Open University to analyse the autobiographies of 12 professional sports men and women – from eight different sports. Their results, published in the journal Frontiers in Psychology, provide a poignant reminder that success can come at a price. Is depression more prevalent in sport? One in five Britons experience mental health issues and Dr Fletcher says studies suggest it’s a similar figure in sport. Some of the unique factors that contributed to depressive episodes among the athletes Fletcher has studied included the pressure to maintain lottery funding, suffering injuries and problematic relationships with team-mates or coaches. At what age are athletes most at risk? There are no age restrictions when it comes to mental health issues. Retirement – even the looming threat of it – was also commonly cited as a trigger in Fletcher’s research. Sports careers are, at best, ephemeral, but can also be cut short with speed by injury, illness or loss of form. When all you’ve known is the treadmill of training and competition in pursuit of excellence, a life without it can seem a cavernous gloom. Is sport a catalyst for depression? Sport, by its very nature, is insular, requiring a level of self-absorption that psychologists say can border on the unhealthy. This is particularly true of individual pursuits like athletics, in which solitude and self-analysis can become overwhelming. But Fletcher says sport cannot be held to ransom. Towards the end of last year, German researchers reporting to the British Psychological Society’s annual sport and exercise conference revealed solo sports men and women are not only more prone to depression, but also to a range of depressive symptoms generally than those who play team sports. Studies generally show that anxiety and depression are more common among introverts, but the link is far from clear-cut. One of the surprising findings from the new German research was that team players were more prone to succumbing to pressures of perfectionism, associated stress and burnout than individual athletes. The UKA welfare department tells AW that athletes of any level should never be worried about raising mental health issues with a coach, parent, team manager or doctor who can access support from the team. “We empathise that it can be a very daunting step for individuals to acknowledge that there is a problem,” acknowledges the UKA welfare department. Making an appointment with your GP is an important and vital step as “it is essential for the GP to lead on the clinical assessment process and ensure accurate referrals are put in place”.